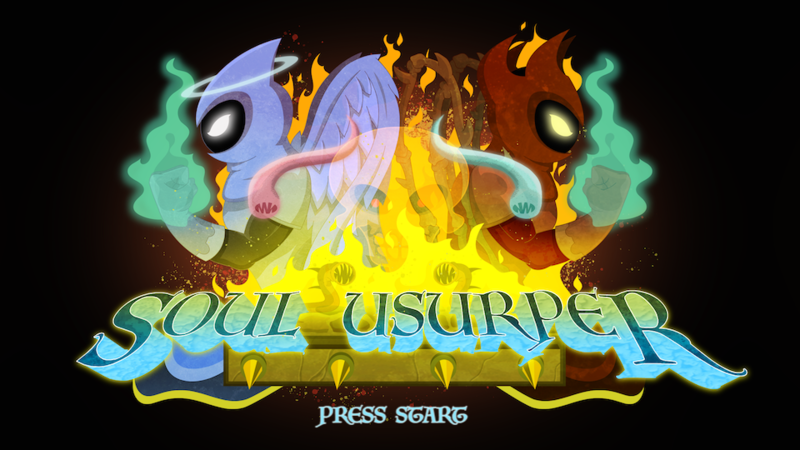 Play as an Angel / Demon Hybrid and battle the warriors from heaven and hell to end the eternal war for human souls. Built for the 2018 GitHub Game Off Jam in the month of November. Note the recently added EXE version will auto-lunch assume you have a JRE on your machine on windows and is the easiest choice for windows. Download the zip file and play on your desktop. Tested on windows and mac - might work on linux (untested). To play on windows - try double clicking the soulusurper. jar file directly, you may need to right click or grant permissions as the file came from the internet. To play on mac, open a terminal, change directory to where you downloaded SoulUsurper and into the SoulUsurper folder. Then type: ./soulusurper.sh to run the game. There is one locked room - within it, hidden in some skulls are powerful items that will help you in the final battle.